The construction was initiated and funded by Hinko Bačić, a mayor of Sušak, and designed by Mate Glavan, the first trained architect born in Sušak. The hotel was built from 1885 to 1888. When opened, Continental has rapidly gained popularity among residents of Sušak because of its design, facilities and excellent position. The hotel was renovated in 2008 and now it is a three stars hotel. 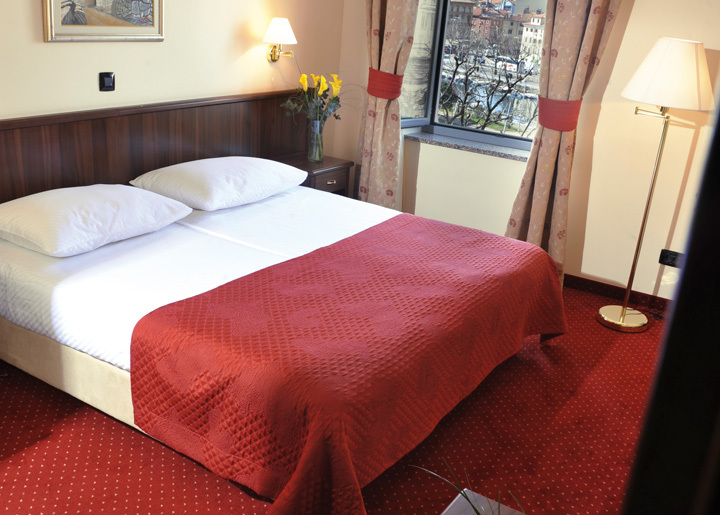 Rooms: Since renovating, the hotel has 65 rooms and 4 suites most of which are offering a great view on the river Rječina and the old town centre. provide an interesting feel for those who want to discover the spirit of the ''City on Rječina“. will satisfy all needs of our guests and are ideal for both tourists and business people. All Rights reserved 2019 Jadran hoteli d.d.